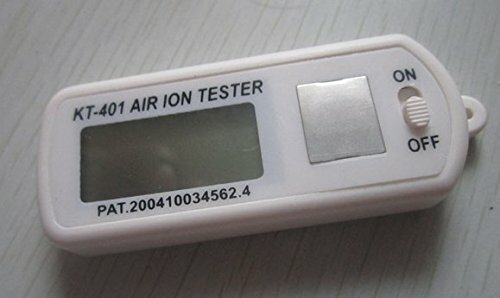 KT-401 Air Ion Counter Tester Meter test negative Ions with peak maximum hold , selling for $126.00 brand new. Manufactured by KT-401. There are 3 units left brand new. 2. It is effective to test the electric charge on the surface of textile by strict. 3. With it you can estimate whether the air ion generator or air purifier is working in good state. 5. Please don’t take it as an precision instrument.